Beacon Hill Farm was established by Tryggve Baak who came from Sweden where llamas are rather rare. One summer, his intrepid 12 year-old granddaughter flew from Stockholm to California to learn about llamas. 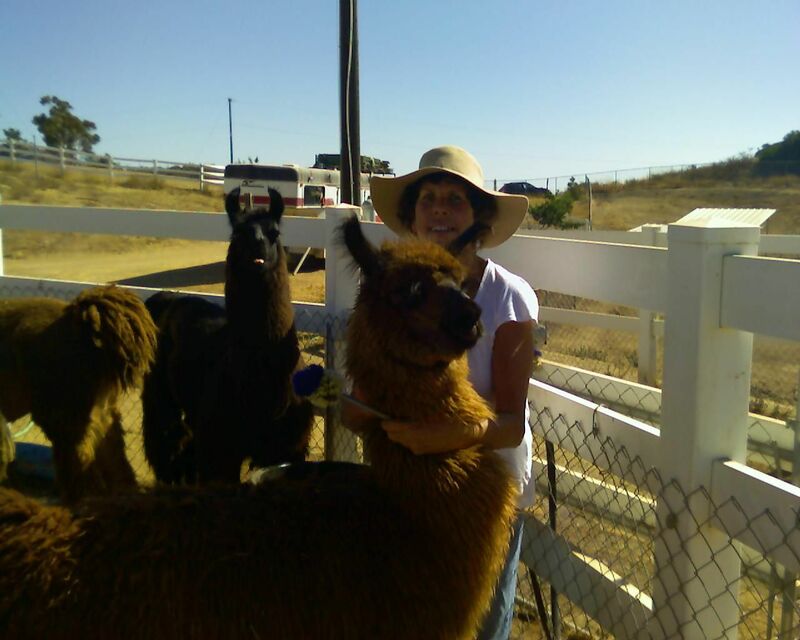 During her visit, she was lucky enough to see some new crias arrive. Before Monique gave birth to Moonspinner, Felizia drew this cartoon. She predicted the birth of a baby with red spots. In fact this cria is a cream-colored girl and, surprisingly, she does have red spots. 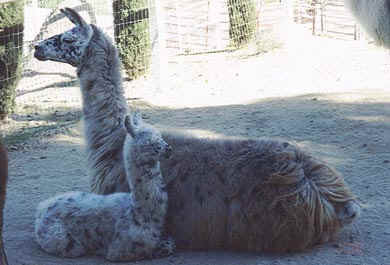 What Felizia did not realize was that llama owners rarely can predict what that new baby will look like. 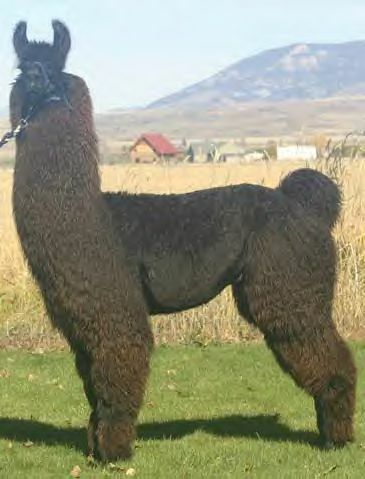 Llama genetics is like a black hole, and the result of a carefully planned breeding often turns out to be startling. 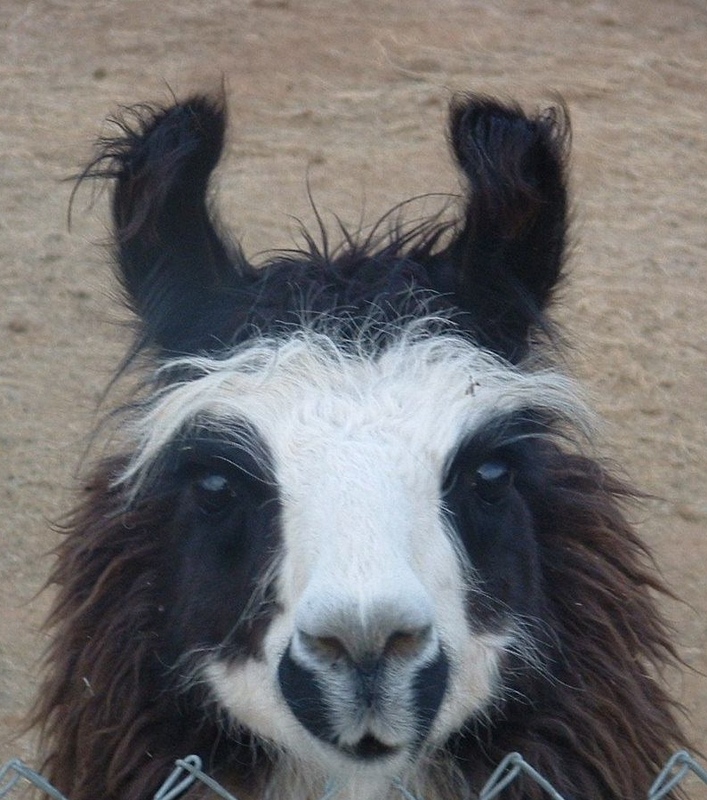 In the near future, we will help you explore the mysteries of llama genetics. As soon as we finish that page, you will merely need to push the gene dreams button to open a whole new world. baby girl! And wonder of wonders: this is also a baby with even more vivid red spots.